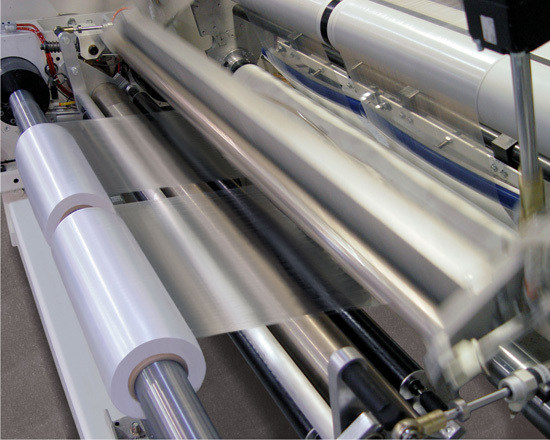 Macro’s Blown PreStretch (BPS) film line creates soft, lightweight prestretched rolls that are easy to handle and unwind. 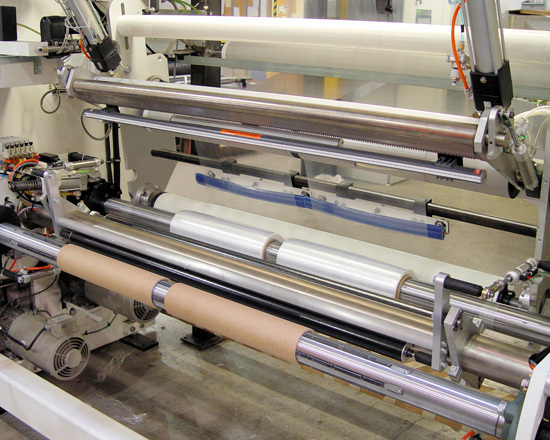 The rolls are suitable for machine and hand wrapping applications. The film is a 2-ply structure that provides an extra layer of strength; if there is a defect in one ply the other will cover the load. The BPS film is very thin; however, the edges are 40-80% thicker to provide additional strength and minimize the possibility of tearing when wrapping. The edge thickness can be adjusted. The film is immediately tacky without the need for additional conditioning or special storage. 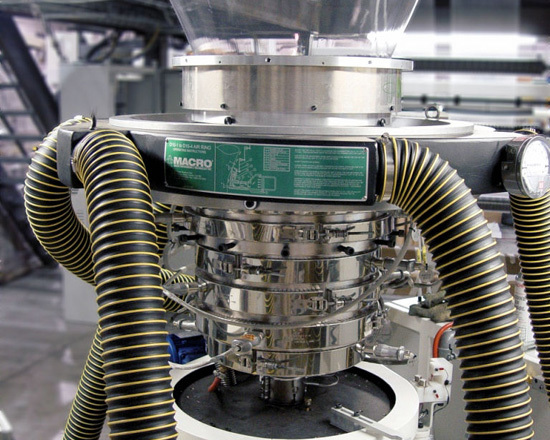 Macro's patented process is based on a single-layer blown film method that is much less complicated than typically used cast coextrusion processes. It uses resins that are much less expensive than the octene-based resins used in traditional prestretch film production. The film produced is very thin, only 6-7 microns and is produced with no waste. This combination of very thin film, created with inexpensive resins, and no trim or scrap generates significant savings to the processor. 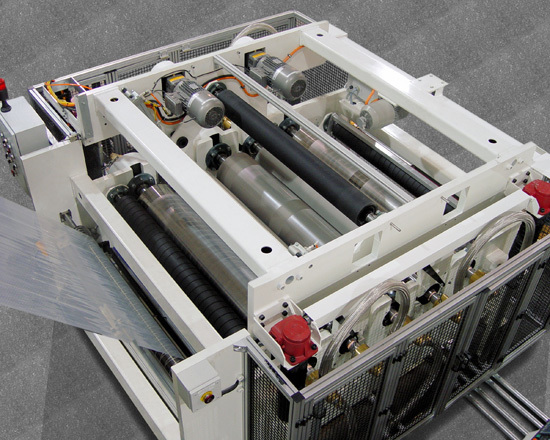 Not only does the processor use less resin, which is also less expensive, there is also no need for costly reclaim and conveying systems to collect trims. 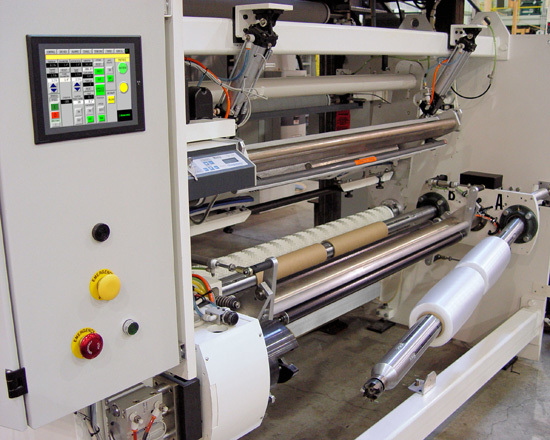 The film is wound on a fully automatic turret winder, specifically designed for winding soft rolls. The soft rolls provide the advantage of being more resilient than hard rolls; the edges will not damage if the roll is dropped. The softly wound rolls are also lightweight and require less force to unwind.